Who can join? Everyone 18 years and older is welcome to join! What is the difference between the three book clubs? The two afternoon book clubs read the exact same books, just in a different order. The evening book club has a different set of books entirely. Can I join more than one club? You are welcome to join the evening book club, and one of the afternoon book clubs. Where do I get the book? Come to the circulation desk, and see if there is a copy OR pick a copy up when the book club meets. Who can come? This program is designed for adults, but anyone may come. We also have a ton of excellent children's programing available specifically for our younger patrons! When does it start? At 12:00pm (noon). Who can come? Everyone 18 years and older is welcome to come to our Tuesday Night Movies. When does it start? The doors open at 5:45pm and the movie starts at 6:00pm. This film is FREE, please bring a bowl for popcorn. Insurance worker C.C. 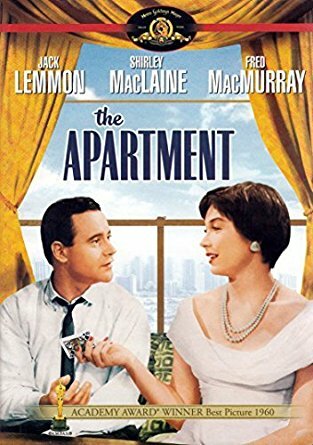 Baxter (Jack Lemmon) lends his Upper West Side apartment to company bosses to use for extramarital affairs. When his manager Mr. Sheldrake (Fred MacMurray) begins using Baxter's apartment in exchange for promoting him, Baxter is disappointed to learn that Sheldrake's mistress is Fran Kubelik (Shirley MacLaine), the elevator girl at work whom Baxter is interested in himself. Soon Baxter must decide between the girl he loves and the advancement of his career. 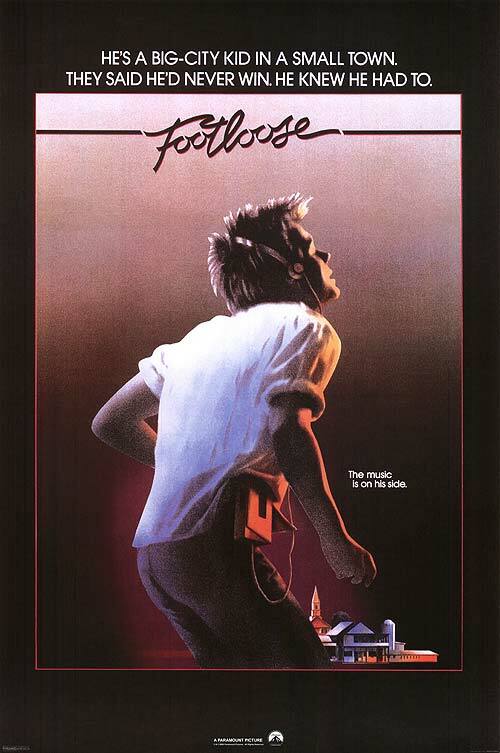 Moving in from Chicago, newcomer Ren McCormack (Kevin Bacon) is in shock when he discovers the small Midwestern town he now calls home has made dancing and rock music illegal. As he struggles to fit in, Ren faces an uphill battle to change things. With the help of his new friend, Willard Hewitt (Christopher Penn), and defiant teen Ariel Moore (Lori Singer), he might loosen up this conservative town. But Ariel's influential father, Reverend Shaw Moore (John Lithgow), stands in the way.